A drawing of my buddy Jim for his birthday. He owns The Gypsy Cafe, and if you're ever in Pittsburgh, I definitely recommend it. 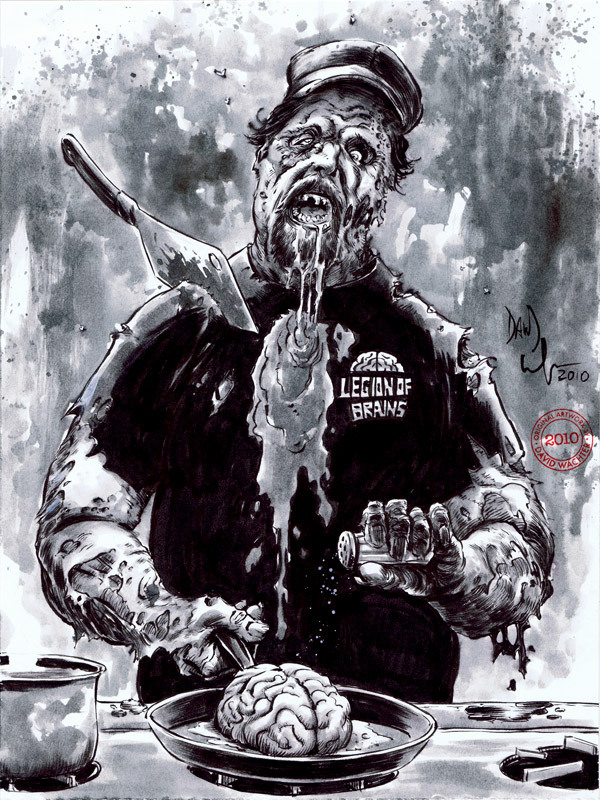 Though they rarely serve human brains. 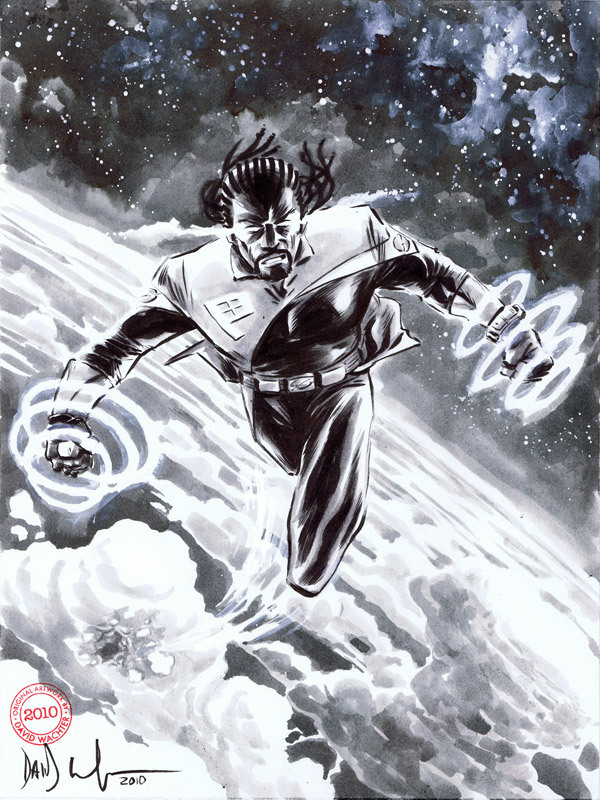 This is The Pro, lead character of M. L. Walker's Hero Corp, which made it's debut at PIX. I created this pinup for the book. Eventually I'm going to write a short con report about PIX. I swear. 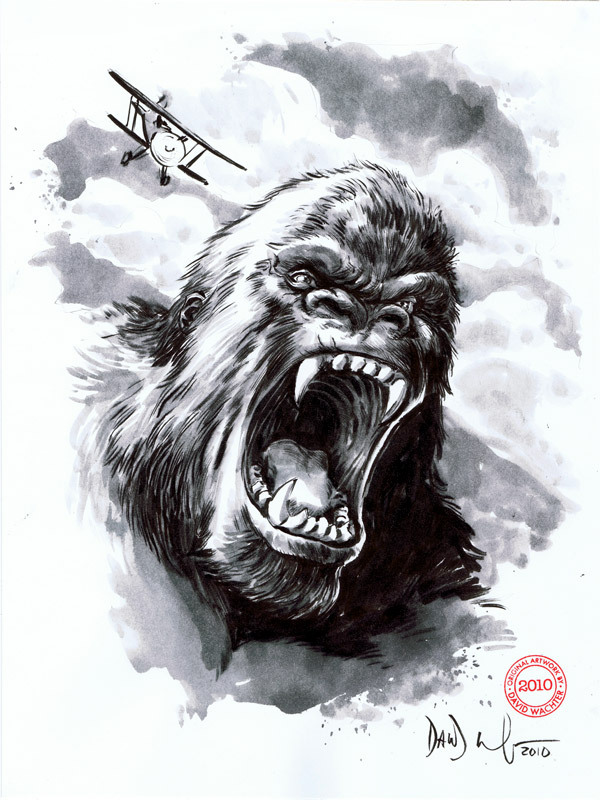 A little King Kong for you today. Also, check out the Store Page, where you can now order a Guns of Shadow Valley t-shirt! A little something I did the night before PIX to have to sell at the table. Can never go wrong with this guy. 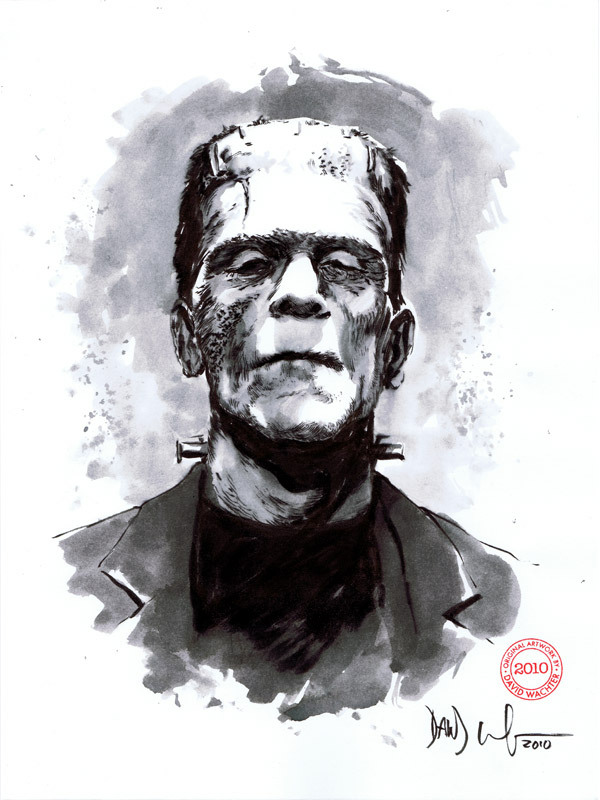 I now have a STORE PAGE up and the first item available for order is the Monsters* Mostly sketchbook. 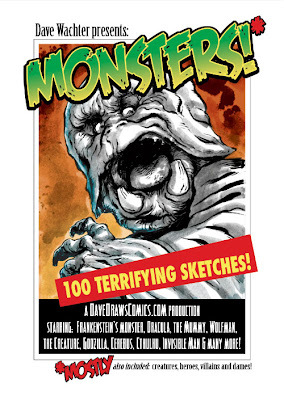 100 pages of b&w sketches of monsters, creatures, heroes, villains, and dames. 5x7, paperback, perfect bound. It's just $15 for U.S. orders, $20 for international, shipping included. Download the 10 page PDF preview. BONUS: Each copy comes signed with a free original sketch doodle on the inside back cover! Payments are made safely and securely through PayPal. If you don't have a PayPal account, it's easy to get one, or just email me. More great merchandise coming to the store soon. Stay tuned!